Freshwater mussels are a significant component of freshwater ecosystems and often make up the largest biomass within these systems. However, their habitat is often subject to impacts such as changes in water quality or hydraulic stressors related to dams. Using snorkelling surveys, this study identified the presence, relative abundance, and spatial distribution of freshwater mussels in the Saint John River downstream of the Mactaquac Generating Station. This study also characterizes, in a general sense, the different habitats supporting these mussel assemblages. The surveys found five of the 11 species that have been previously recorded in the whole Saint John River system. Additional surveys within the Saint John River watershed with increased search effort per site are needed to detect rare species. Species composition and relative abundance differed in surveyed reaches, which are characterized by discrete habitat conditions. No differences in species diversity were observed between surveyed reaches. Trends in species distribution are likely due to a changing substrate composition moving downstream from a sediment-starved reach in the tailrace area of the river, followed by a coarse/fine flow-sorted mixture in the island area to a nearly homogenous sandy substrate further downstream. The online version of this article ( https://doi.org/10.1007/s10750-019-3954-3) contains supplementary material, which is available to authorized users. 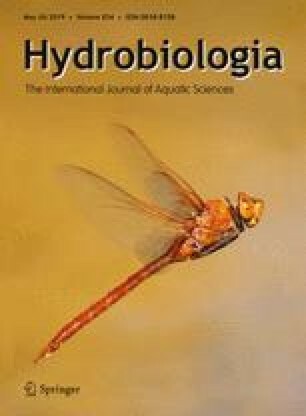 This article is a contribution of the Mactaquac Aquatic Ecosystem Study (MAES). The MAES Project is funded in part by the Natural Sciences and Engineering Research Council Collaborative Research and Development Grant 462708-13 and New Brunswick Power. Bernhard Wegscheider was funded in part by the Dr. William S. Lewis Doctoral Fellowships stipend. We want to thank Bronwyn Fleet-Pardy for generating the map of the study locations, and several summer students for their help and assistance in the field. Furthermore, we thank 2 anonymous referees for their valuable comments on this manuscript. Donald McAlpine and Mary Sollows from the New Brunswick Museum are greatly acknowledged for their help with verifying identification of voucher specimen.